If you haven’t tried The Shop yet, you need to. Creative is what I think of when I think of their food, their cocktails and the ambiance. Just going there is an experience! Built inside a 100-year-old hardware store, you feel like you stepped back into time. The Shop features an awesome selection of appetizers along with signature cocktails and craft beer. The location is perfect for strolling in the hottest city for bar hopping, and The Shop is a place that you will not want to hop from! Truly outstanding pies in all flavors but if you love Apple pie (and who doesn’t? ), you need to take a ride to Smith’s. Every pie is made with tender loving care. Keyword—love. If you have never tried their pies, you need to quickly. I think bagels are a personal food. So many decisions with respect to types of bagels and what to put on them. How you eat them—either like a sandwich or separated and covered with cream cheese. YUM. Uncommon Grounds is uncommonly great. Great selection of fresh-roasted coffee and teas and, yes, great bagels with choices of spreads, sandwiches and more. A great place to hang out, too! Bagels are fresh-baked daily and are available in many choices. Sure to please! It started with bread and quickly Bella Napoli was the region’s choice for delectable desserts of all types. You will find the classics and creations that you would only see in Italy. In Latham, a full café is featured as well. Try the cookies – you can’t eat one for sure. Bite in and imagine you are roaming the streets of Naples. PJ’s used to just be a summer place but they are open year round featuring all styles of American BBQ. The menu is so extensive that there will be a choice for everyone (including vegetarian). Don’t be afraid to ask for advice—the entire staff is knowledgeable on BBQ and will “steer” you in the right direction. Top your selection off with their own soda brand, cold beer or other beverage. The owner and BBQ wizard is Tex and where is he from? Fort Worth, Texas. So you know the BBQ has to be the best. A winner many times, The Pig Pit features all the BBQ classics you expect plus specials to entice you even more. Tex utilizes his own unique style of smoking meats to perfection and he has a full Tex-Mex menu, as well. You’ll smell the aroma as you get close. Always fun and the beer is fantastic. It is a true Troy “Establishment” now as Brown’s has been sitting on River Street since 1993 brewing craft beers. The colleges, when in session, flood the trendy district while families know as well how worthwhile it is to flock to Brown’s, for sure. I am not certain that Cornells is a secret. The food is consistent and many families throughout the region have been gathering there for many years. Perhaps, there are some still who are not aware of how good it really is! Winner for a few years now in the cocktail category and this year singled out for their signature Bloody Marys. Cocktail making is a skill, for sure, and a good recipe makes all the difference. Congrats Hollow Bar + Kitchen. The New World Bistro Bar is a marvel. Everything they make is so inspired and never disappoints. You certainly need reservations to enjoy this bistro but it is worthy of making plans and building a night around eating there. I live in Troy but love when someone says to me, “I will be in Schenectady. Do you want anything from Perreca’s?” Their bread can be the centerpiece of a dinner. To call bread beautiful is odd, I know, but honestly the golden brown, the rustic look—it is beautiful! The day of rest for some of us cannot be complete without a breakfast at Café Madison. Lively always, delicious consistently and relaxing to boot. After all, someone is cleaning it up, too! I must confess that I root for the Ale House each year. They are a small Troy establishment that frankly isn’t all that much to look at but, WOW, are their burgers incredible. To sit with a cold beer, a cheese burger (or your favorite type of topping) is like a masterpiece of living simply. If you are lucky enough to have ever had a Zachary’s cake, good for your taste buds. If you haven’t, don’t deprive yourself any longer. They are fabulous. Heck, tell everyone it is your birthday and all you want is their cake. If you are fibbing, your friends will forgive you if you share with them. Dubbed the Calamari King, Marc, the owner, rules over his seafood kingdom. Worth the trip from anywhere in the Capital Region, you must start every choice with an order of calamari. If you don’t, it would be like going to the Louvre without seeing the Mona Lisa or going to Harry’s Bar without ordering a Bellini, or like—oh, you get it. Enjoy! A perennial winner for cheese cakes and for many good reasons. I once listed all their cheesecakes in a Bestie issue and was blown away by the list of flavors and choices. Each made fresh on the premises. Chocolate is like wine. Good chocolate is great and bad chocolate is bad. Uncle Sam’s never is anything but awesome. Uncle Sam’s also has wonderful candy besides chocolate and options for everyone with dietary restrictions. Sweet tooth readers, rejoice. A winner in multiple years and for all good reasons. Creative, tasty and willing to work with you on all your festive needs, Coccadotts always delivers quality and who doesn’t want to grab a little bit of goodness with frosting? I honestly cannot remember when the lovely team at Golden Harvest did not win this category. A hot cup of coffee or their own cider and one of their donuts could just be the best thing you have treated yourself to in ages (or at least since last fall). It has been many years now that The Towne Tavern has captured the “Bestie” for Chicken wings in this and many others readers’ polls and contests locally. It is apparent that they are the tastiest for sure. There are so many choices of wings at The Towne Tavern to try but I dare you to love just one type. They are all excellent and worthy of mass consumption, just ask my husband. A white chili with some real secret ingredients and spices makes this chili unbelievably good. You may never eat red chili again after eating Otis & Oliver’s chili. So good and so requested throughout the year that they may be breaking their tradition of only serving in cold weather. Let’s all lobby to make this happen! Fish at 30 Lake is relatively new but already you hear about their outstanding and unique chowder as if it had been driven in from Maine each morning and not prepared by their chef. We love when a new restaurant wins a category because it is something else we need to try out. Thank you, readers! Who out there does not love Stewart’s coffee? Coffee maker sales have to be down in our area because we all run out for Stewart’s. Great coffee and at reasonable prices. No barista—only quality. Villa Italia is a mecca for Italian sweet treats. All of their sweets are great but the cookies are something everyone loves, whatever their age. Grab some to bring to your next outing and you will be everyone’s new best friend. Does comfort food need to be served in a comfortable setting to be awesome? Well, at Scarboroughs it is but their food would truly be outstanding anywhere. Everything is made like your favorite family cook made it. And you will be stuffed, too. I have to admit that when we came up with this category, The Shop came to mind. I am so happy our readers agreed. Fun and funky! The food is terrific and the atmosphere unique and sitting in trendy downtown Troy. Gershon’s Deli offers a wide-ranging menu presenting traditional, old-world favorites such as hot pastrami, corned beef and chopped liver. It’s a sandwich lover’s assortment of overstuffed combinations and, of course, like any great deli, salads and soups, prepared fresh each day. Homemade coconut cream pie is my favorite but carrot cake, chocolate mousse and affogato are available each day. I will skip the descriptions as I would hate to cause a pile up on 787 getting to Navona. I will just take a cup of decaf—not! Alexis Diner on North Greenbush Road in Troy goes through more Capital Region Living magazines that we sometimes can’t keep up with the demand. Our readers flock there and they vote! Congrats, Alex and team on true excellence. Canali’s wins so much each year but, knowing the family, I will bet that this “Bestie” means the most to them. The food is unbelievably good and this family really has it down pat. A well working machine, for sure. Traveling out of Upstate New York, fish fry is not known as we know it here. How do we identify it? By the name Ted’s Fish Fry. Iconic is not a word we throw around lightly but Ted’s is iconic. Quaint and fun, this local Irish-style pub and teahouse offers Irish and English-inspired food choices. You can’t offer these types of food choices without having fish ‘n chips and these are the “Bestie” favorites. Capital Region Living magazine covers 11 counties so they must be awesome. Pommes frites are what is on the menu at Garden Bistro 24 in Latham and Slingerlands. These Pommes Frites are great on their own but served with some of their other dishes is heavenly. Poutine, which is pomme frites, caramelized onions, cheddar cheese, roasted chicken gravy and fresh herbs, is yet another option. Whatever or however you eat them at Garden Bistro 24, it is an amazing treat for the taste buds. BOGO available on all bar beverages. They have their own famous bar cheese, awesome wine list, homemade and always fresh Sangria, and discounted prices for many items on the bar menu for their Happy Hour. Hard to compete with that! Tiny and powerful little bites of delight. Eating inside the compact little restaurant or eating outside on the picnic tables, you will find the comradery of other hot dog connoisseurs. Worth the trip and the smell of onions for sure! Multi-year winner for good reason. The big snowman stands regally over the streets in North Troy and that snowman beckons you in. I know because I have tried to drive by many times but I can’t. The ice cream is tremendous and the combination soft serves are awesome. The hard ice cream is amazing, too! Jumpin Jack’s was built in 1952 by Jack Brennan and it has been humming along ever since to the delight of families all over the Capital Region. A summer evening with burgers and fries at Jumpin’ Jack’s will delight your children forever with memories of their childhood. There is just nothing like stopping by Latham 76 after a great night on the town to chow down anything and everything you want to eat. It’s like coming home to mom’s kitchen if mom is a great cook. Brown’s was awesome before beer crafting was as popular as it is now. They have been at it a long time and have perfected the art of beer making. Known countrywide now for their brews, Browns is special in many ways. The Mac & Cheese in general is simply sublime but the Lobster Mac & Cheese may just kill you with euphoria. All kidding aside, I have no words here. Chunks of lobster and creamy and so well-seasoned—oops, I guess I did have words. Swifty’s lunches are well made and they serve fast and efficiently for lunch breaks. Order in or take out and back to the office. They really do a great job and deserve this win. Amazing little tavern in Latham that churns out fantastic food day in and day out. It is hard to pick a favorite from their menu but the Mac n’ Cheese is flawless. Served in a crock that I dare you to finish but have no worries, it reheats well, too. Not that I know anything about that. Drinking margaritas is a very personal adult beverage. Do you want salt, do you want a fruity based one, what level of tequila do you want in it? Whatever you choose, El Loco nails it. Oops, I may have just shared too much knowledge here. The martini is a cocktail made with gin and vermouth, and garnished with an olive or a lemon twist. Now there are so many varieties of martinis that, if possible, they are even more elegant. The Standard knocks the traditional martini and the modern versions out of the park. Sooooo good. After tasting Canali’s meatballs (if you haven’t already), I dare you to disagree with this readers’ poll choice. Tender, flavorful and something that could easily be confused with your great Italian grandmothers. They are that good. The freshly baked muffin as worthy of eating for breakfast, lunch and even a dessert. The charming country setting is home to a whole lot of baked goodness but the muffins are worth the trip. A blueberry muffin and a cup of their coffee can make the worst day an awesome one with a bite or two or three…. Egg white omelettes with spinach and feta is my personal favorite at the Latham 76 but honestly whatever you want in the omelette, you can rest assured it will be well made and served hot and more than you can eat. Sitting by the Mohawk River on a warm spring, summer or fall night at the Water’s Edge Restaurant can make you relish in the fact that we live in the Capital Region. Now throw in some good food to go along with the views and you have magic. It is hard for this writer to be objective with regard to Testo’s sauce. This is a family who I have known and loved for many years. Their sauce is an old family recipe and one that truly comes from the hearts and hands of the Testo family and it is wonderful. Kay’s has been winning the pizza category for many years now and there is stiff competition in this category. The pizza is awesome and the trip to Kay’s is a planned and intentional journey to Burden Lake to have it. Bravo for the pizza and the restaurant’s consistency to excellence. A neighborhood place, for sure, and that is probably what a pub should be. Excellent food and excellent prices are their hallmark. The Pig Pit specializes in hickory smoked meats: pork, beef brisket, mesquite chicken, ribs and more but the Texas-style ribs are tops in the minds of our readers. Fall off the bone goodness! Anytime you go out to eat with the person you love, it is romantic for sure. Coupling (pardon the pun) with good Italian food and excellent service is the real key and Cornells has that key this year. When the CRL offices were in Delmar, we too loved their sandwich and subs each and every day. We miss being there and grabbing some of this excellent food. It is convenient, the family and workers are awesome and we are so happy that our readers know it, too. Congrats, old friends. Hand tossed and made to order. Whether eating the Ahi Tuna and avocado or the protein-rich buttery giant bean salad or the crazy cobb (and there are more), you can always be assured of the quality and creativity. Did you ever want a slider but could not decide on what kind you wanted? Well, be prepared to be wowed at the menu at Slidin Dirty. They feature imaginative sliders and cocktails in a rustic-chic location. Relaxing and comfortable is what we would call the environment where the Whistling Tea Kettle offers their soups. A cup of fresh brewed tea and a bowl of their delicious soup offered daily in varying styles is just plain good for the soul. The cocktails are really amazing and endless in possibilities. Sitting back in the Sinatra-era setting and sipping your favorite martini or cocktail of your choice is just plain fun. I just need a long slender cigarette holder (empty of course) to hold and my evening will be complete at The Standard. Bravo on multiple wins over many years. Watching the multiple large screen TVs and drinking your beer is only enhanced by wings and finger food in general. That should be the Webster Dictionary definition of a sports bar. Now add good food and many different sports on even more large screens and you have Recovery Rooms. Sushi Tei is a traditional Japanese restaurant located in Albany. They feature fresh, healthy Japanese food with excellent fresh fish creatively made into splendid sushi. You just need to call in your order, drive to grab and reheat to create the meal that Canali’s has lovingly prepared. Meatballs, pasta and every Italian dish you can possibly think of. Sometimes it’s just fun to bring their food and enjoy it in the privacy of your own home. Thai food is so wonderfully popular and picking up Thai from Sukhothai is a super way to quench that desire as many of our readers know. Call it in, bring it home and taste buds are satisfied. Glorious and creative foods come out of the kitchen at New World Bistro so why not do small plates and try more of it. New World truly works with all tastes and all appetite sizes to create splendid plates of happiness. A multiple winner in many important categories but we bet this one means the most to the folks at Cornells. Without the tender loving care of a wait staff, a restaurant will only moderately succeed but with a great wait staff like Cornells, it is like a well conducted symphony. A wine bar that always keeps up with the trends and changes the choices offered in wines is a great wine bar. Lucas Confectionery does just that. The finest wines poured by knowledgeable staff who can ask and answer the right questions. All you need to do is sit back and enjoy your glass. We love this category because it proves that you do not have to be in business for years to garner some great recognition. Good food is good food no matter how long the brick and mortar has been around. Chef Mike Niccoli’s menu walks the line between Mediterranean and Modern Italian, with an emphasis on freshness and wood-fired fare. Niccoli, an Albany native, is a graduate of The Culinary Institute of America with honors, Voted Chef of the Year by his local chapter of the American Culinary Federation in 2015, recipient of the Albany Business Review 40 Under 40 Award in 2010, he has been a Culinary Instructor at Schenectady County Community College for more than six years. We are such a diverse area and the American style of cuisine we serve throughout the area is quite varied as well. The Century House in Latham serves so many entrees well but the secret in well-rounded restaurant served food with excellence in sides, salads, cocktails, deserts and more. The Century House has all that covered for you. Hattie’s is nationally known and acclaimed for their food and they have their own cookbook now by owner/chef Jasper Alexander. Always wonderful and usually crowded with adoring diners. Hattie would be so proud of how her restaurant and reputation has lived on. Since 2012, The Dutch Pot has been serving Caribbean food that cannot be purchased in the authentic style and taste everywhere. We are blessed in the Capital Region to have a few but our readers feel The Dutch Pot stands ahead of everyone else. The Dutch Pot specializes in jerk chicken and does make the genuine product as is done in Jamaica. Jerk chicken, curry chicken, goat and oxtail are all wonderful examples of Caribbean dishes that many who have traveled to the Caribbean just love. First Choice Caribbean in Troy cooks up these specialties like you were there sitting by the blue sea and enjoying them. Great job and congratulations. The website for Chez Nous says that “francophiles Andy and Heather Chestnut lovingly reproduce the enchanting ambiance of the French countryside in downtown Schenectady” and that is so true. They also create amazing French food. Ambiance is good, great food is necessary. Outstanding job, Chez Nous. Just about everyone knows how wonderful the beer is at Wolff’s Biergarten but our readers feel a reason to flock to Wolffs is the German food. Don’t wait for Oktoberfest or a great soccer game, grab a sausage platter and enjoy. Athos is the real deal when it comes to Greek food. The seafood and authentic Greek dishes are amazing. Close you eyes and take a bite, you will be dreaming in Azure of the Greek Isles. Family loved and owned. I honestly cant remember a time when Karavalli did not win the “Bestie” for best Indian food. The take out is always buzzing, the dining room nicely full and the aroma of the Indian dishes is remarkable. I am not sure how year after year the quality can remain so good but our readers are glad it does. The food is perfect in everyway. Just ask my husband who would consider D’Raymonds a reason to never vacation or leave the area for any length of time because of it. Fish, pasta, meat—they are all prepared perfectly and I dare you to go home without leftovers. Consistently outstanding and perfect for a date night or a seat at the bar watching the talented sushi makers as well as a table with a great big bowl of noodle or tempura. I have to stop typing and run for some now–love this place. Our readers find “a taste of Lebanon in downtown Troy” at the Beirut Restaurant and again name it a “Bestie” for the delicious homemade dishes, from appetizers, to salads, to the zaatar and other pies, to meat wraps, and more. Capital Region Living magazine profiled co-owner Aneesa Waheed and we are so pleased to see the continued growth and popularity of Tara Kitchen. Check out the various tagine dishes or create your own. Don’t forget the appetizers. Tara kitchen offers cooking classes and shares recipes, too. Again the “Bestie,” El Mariachi has family experience in preparation of Mexican dishes. The menu includes their great-grandmothers‘ recipes and foods from their hometown and other Mexican states. You can almost taste the different selections just by glancing down the menu descriptions. Muza is a repeat “Bestie.” Specialties at this home of handmade European food include pierogi, kielbasa, potato pancakes and stuffed cabbage. Can’t decide? Try a Polish Plate, Polish Sampler or Polish Feast. And plan a return visit. Reel Seafood has again reeled in the “Bestie.” This is the place where “seafood devotion” has been present for more than a quarter of a century, with dishes prepared from daily shipments. From appetizers to entrees, our readers observe that Reel Seafood really knows their seafood. Delicious and delightful are descriptions of the dishes here. Diners especially note the seafood paella and sangria as so tasty that they think they are in Barcelona—Spain, that is. The Barnsider is once again a “Bestie” and our readers tell us that it is their “go-to” restaurant. Diners appreciate the carefully selected meats and carefully prepared cuts, cooked to the diner’s specifications. The award-winning New World Bistro Bar offers global flavor and local pride. The list of local sourcing regional and sustainable ingredients continues to grow. Our readers appreciate this vegetarian-friendly restaurant for its creative plates, from appetizers to sandwiches, to flatbreads, to entrees, and, of course, salads. Our readers say that Saigon Pearl is, well, a pearl. Family-run, this restaurant creates tasty and healthy food—and they deliver in Albany. We’re certainly not surprised that New World is the “Bestie” in Albany County. Innovative, inviting, with a focus on global cuisine and local pride, this multi-award-winner is a destination restaurant whether you live down the street or miles away. Mazzeo’s is near Berkshire theater and concert venues and often, performance goers combine their entertainment with a visit to this family-owned restaurant, recognized for its authentic Italian food. But just as often, it is a destination just because of its excellent reputation. 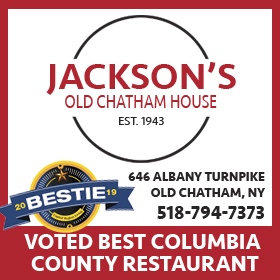 Family-owned and operated for three generations, Jackson’s is known for its service, warm atmosphere, and tasty food prepared to specification. Great place to meet up with friends, conclude a busy week with your loved one, or any occasion. Raindancer opened its doors in 1980 and has continued to renovate and recreate to keep current and fresh and that has earned the appreciation of residents in Fulton and Montgomery counties and beyond. Great food and great service, our readers say. The awards and applause keep coming for Crossroads Brewing Company. Housed in a 19th century opera house, Crossroads offers delicious dishes created from meats, produce and cheeses from farms throughout the Hudson Valley area, as well as tasty brews from rotating taps. Located at The Otesaga, Hawkeye Grill and Bar is a year-round opportunity in Cooperstown to enjoy its signature comfort foods. Stopping by in colder weather? Be cozy and comfortable while enjoying the sizzle from the grill or another choice. 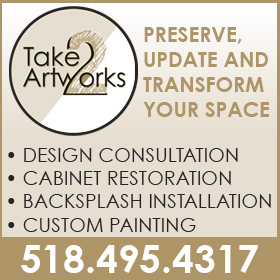 In summertime, take your meal out on the patio and take in the fine view of the lake. Tasty food made from scratch. A relaxed atmosphere. These are wonderful ingredients for a great restaurant experience and they are in ample supply at Chez Mike. That’s why this is a multi-category “Bestie” winner. Lake Ridge is where diners talk of amazing dishes, impeccable service, and wonderful atmosphere. And they add that they’ll definitely go back. No wonder Lake Ridge is the “Bestie” for Saratoga County, where fine dining opportunities are plentiful. Food, family, fun is Johnny’s motto and our readers enjoy this combo at this Italian-American restaurant in downtown Schenectady, whether they are heading to the theater, or joining family, or on a date night. And then there is the homemade pasta. Yum! The American Hotel, built in 1847 and reopened by innovative owners in 2001, has become known far and wide as a real jewel. How lucky we are to have this venue in our region. Have a drink in the garden patio and then enjoy the attentive service and delicious meals, with local farm sourcing, in the dining area. Our readers tell us that they feel both special and right at home there. This local family is passionate about brewing and beer-lovers know it. Word has spread about their creative lunch and dinner menus. Check out Chicken Vermont, Mezze Platter with hummus made on site, or the Citrus Herb-Roasted Turkey with house-made apple sausage stuffing. That’s just a sampling of what awaits your taste buds. Log Jam is a long-time favorite for area residents, shoppers and visitors. Readers appreciate its super salad bar, great steaks, soups and lots of options. And they enjoy the charm of the restaurant’s log cabin atmosphere with pot bellied stoves and fireplace. With a fabulous wine list and an upscale feel, it is no wonder that Angelo’s Prime reigns supreme in Albany. Special occasions, date nights, and on and on. 677 delivers for all your dining needs with an attentive staff and wonderful dining choices. A local favorite, for sure, for Italian food. Huge portions, enough to feed your family and even the neighbors and those are just the leftovers. To eat at the Barnsider is never a once in a lifetime thing or even an annual excursion. The Barnsider imparts loyalty. The service is exceptional and you can get a great meal at a very reasonable price. They have a birthday club, they cater to parties large and small and the environment is just wonderful to eat there regularly. Opened in 2005, Pasta Pane is a warm neighborhood restaurant with a focus on fresh, simple cuisine with a passion for taking care of all guests who walk through the door. Clifton Park residents just love it. The Hidden Café is certainly a hidden gem, sitting in the Delaware Plaza and offering Mediterranean fare for a many years now. A local favorite, for sure. Chez Mike is such a great “go-to” place for awesome and creative foods. It is in a shopping plaza and is conveniently located. It is not only the “Bestie” winner in East/North Greenbush, it is truly one of the Capital Region’s finest. Friendly, warm and very distinctive Italian cuisine. Guilderland offers much to our area but Mezza Notte truly stands out with our readers and the community. The food is always great and the spin on traditional choices is fun and delicious. The pizzas, the pastas, meats and, my favorite, the salads are amazing. Lucky Latham to have this fine restaurant. Canali’s Restaurant has been providing their customers with wonderful cuisine at their Rotterdam location for over 64 years. It is worth the trip from all parts of the Capital Region but the readers in Rotterdam stand proud as Canali’s is one of their own. 15 Church is a beautifully restored historic building located in the heart of Saratoga Springs where the inhabitants of Saratoga never have to search for great food. 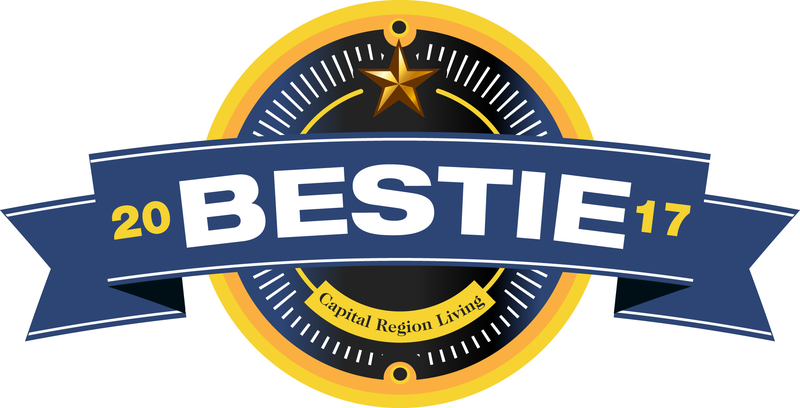 Winning the “Bestie” for Saratoga restaurant may be the highest honor of all our community Besties! Congrats to one of my favorite teams in the business. A multi-year winner in several categories over several years, Cornells is certainly a Schenectady standard and one that is worth going to from anywhere. I just do not have enough space or paper to write about all the accolades about Peck’s. Bravo on all they serve and create. Troy is another place where the distinction of Top in Troy in our reader’s poll is quite a statement of excellence. Their ribs and wings are always highly acclaimed but, honestly, I challenge you to find something that The Towne Tavern does not do well. 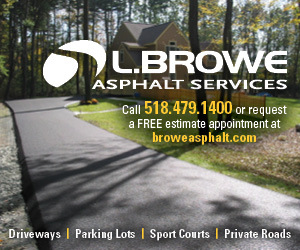 Awesome environment for fun and good food in Averill Park.